Revenue in the Processed Vegetables, Fruit & Potatoes segment amounts to US$185,191m in 2019. The market is expected to grow annually by 6.3% (CAGR 2019-2023). In global comparison, most revenue is generated in China (US$69,755m in 2019). In relation to total population figures, per person revenues of US$44.73 are generated in 2019. The average per capita consumption stands at 22.7 kg in 2019. The market for Processed Vegetables, Fruit and Potatoes includes preserved and deep-frozen products as well as preparations made from vegetables, fruits and potatoes. Ready Meals, fresh fruit and vegetables and some processed potato products (e.g. chips/crisps) are not included here but shown as part of the snack food market. Reading Support Revenue in the Processed Vegetables, Fruit & Potatoes segment amounts to US$185,191m in 2019. 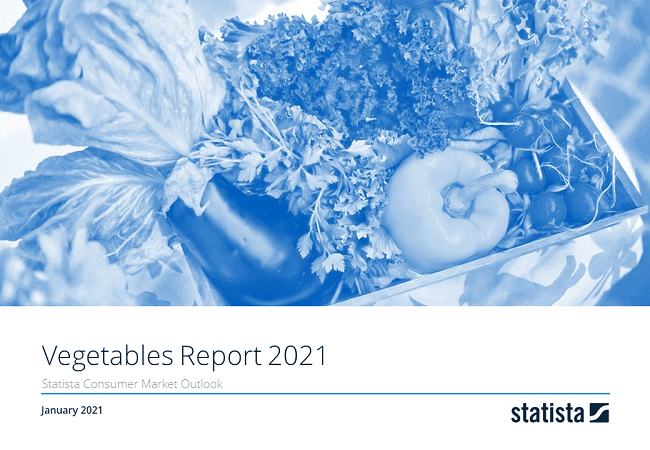 Reading Support The Processed Vegetables, Fruit & Potatoes segment is expected to show a revenue growth of 8.5% in 2020. Reading Support The average revenue per person in the market for Processed Vegetables, Fruit & Potatoes amounts to US$44.73 in 2019. Reading Support In the market for Processed Vegetables, Fruit & Potatoes, volume is expected to amount to 108,581.1 mkg by 2023. Reading Support The market for Processed Vegetables, Fruit & Potatoes is expected to show a volume growth of 4.3% in 2020. Reading Support The average volume per person in the market for Processed Vegetables, Fruit & Potatoes amounts to 22.7 kg in 2019. Reading Support The average price per unit in the market for Processed Vegetables, Fruit & Potatoes amounts to US$1.97 in 2019. Reading Support With a market volume of US$69,755m in 2019, most revenue is generated in China. Here you can find more studies and statistics about "Processed Vegetables, Fruit & Potatoes".